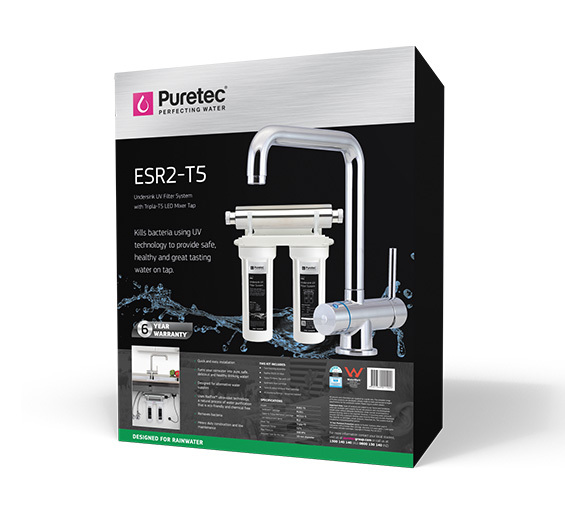 The Puretec ESR2-T5 systems incorporates Puretec Radfire’s ultraviolet technology and Tripla’s triple-action tap all-in-one system. 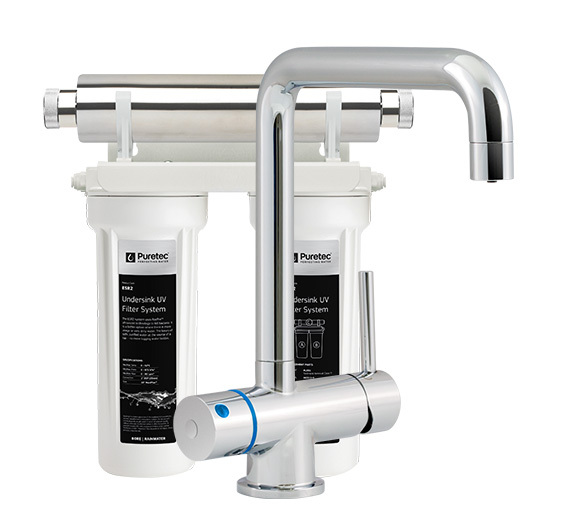 This system is designed to kill to kill 99.9% of bacteria in untreated water supplies. 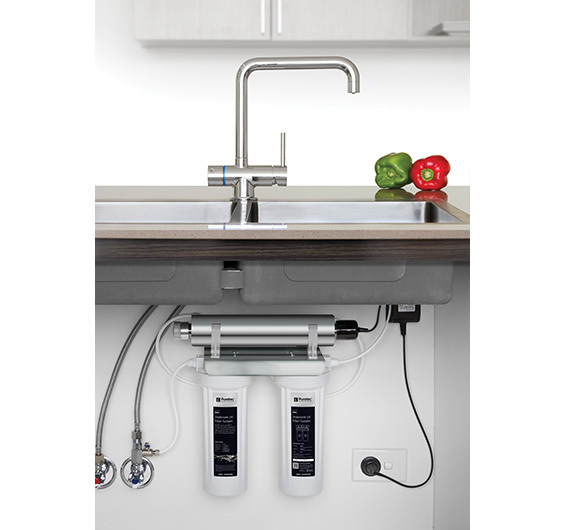 The Tripla mixer tap gives you hot, cold, filtered/or rainwater water, all from just one mixer. There’s absolutely no mixing of filtered and unfiltered water.